Matter is anything that occupies space and has mass. It is anything that can be observed and felt by the senses. Matter exists in four states, two if which are solid and liquid. This article’s goal is to present the major differences between the two. Used as building materials, heat or energy conductors, etc. Used as lubricants, solvents, engine fuel, etc. Solid is one of the four basic states of matter that is distinctly characterized by molecules and atoms being bound so close together that they can only vibrate. This characteristic allows any solid object to have a definite shape which can change only when force is applied to it. In instances when a solid object turns into a liquid, the process is called melting. A solid object can also turn into a gas (another state of matter) through a process called sublimation. Some examples of solid matter are ice cubes, dry ice (solid CO2), or solid metal. Solids have other characteristics that make them distinct from all other states of matter. Solids can be strong, tough, elastic, flexible, hard, and/or ductile. In addition, solids can also be classified into separate groups; namely: metals, ceramics, wood, minerals, wood, organic solids, semiconductors, composite materials, biomaterials, and nanomaterials. Liquid is another basic state of matter that is between solid and gas. It has volume, but not a definite shape. The molecule and atom composition of liquid moves freely and the smallest amount of force can change its shape through a process called “flowing.” Gravity is also the reason liquids “flow” into whatever the shape of the container. There are forms of liquids that flow slowly because of their viscosity. High viscosity liquids such as tar look almost as if they are solid. Liquids can transform into another state (e.g. 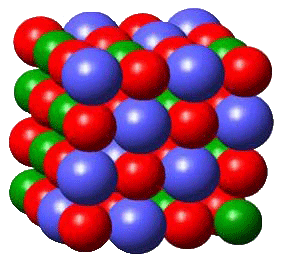 solid, gas) because of its free moving molecules. When a liquid is cooled down to its freezing point, its molecules bond together to form a certain order, becoming stronger and more rigid as it shifts to a solid state. Different liquids have different freezing points, but water turns to ice at 32°F or 0°C. When liquid is heated up to its boiling point, its molecules vibrate and move even more, creating greater space between them. As the spaces between them increase further, a liquid then turns into a gas. Water has a boiling point of 212°F (100°C), and this is the point where it becomes steam. Water, oil, and blood are all examples of liquids. So what’s the difference between solid and liquid? Along with gas and plasma, solid and liquid are two of the basic forms of matter. A solid is a form of matter characterized by a particular shape that also has volume. A liquid, on the other hand, has volume but no exact shape, taking the shape of its container. The molecules in solid matter are compressed as its molecules are closely bound together and can only vibrate. 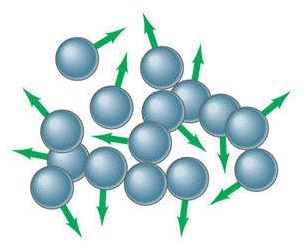 Liquid molecules, although bound temporarily, move freely around each other. Liquids are used in many ways. They are used as beverages, machinery fuel, and lubricants, to name a few examples. Solids are used as steel for construction work or conducting various forms of energy (e.g. heat, electricity), for example.